1 of 12 Edward Smith / Maui Brewing Co.
Coconut Hiwa Porter from Maui Brewing Company provides the best of both worlds: Who doesn’t dream of escaping freezing December days to spend the holidays in sunny Hawaii? But this beer adds its tropical coconut pop to a creamy, cocoa-tinged porter that works double duty as a cold weather treat for any family member with a bit of a sweet tooth. When it comes to beer pairings, nothing goes together like cold weather and a dark stout. Though the beer world is overrun with huge imperial stouts offering up the thick mouthfeel and massive alcohol levels to ward off even the worst arctic blasts, Kalamazoo Stout from Michigan’s Bell’s Brewery is a classic American stout with ample chocolate and coffee notes clocking in at a more sensible 6 percent ABV that will also help ward off any drunken family arguments. Plenty of more hardline Christmas beers do exist, with names as straightforward as “Mad Elf” or as far out as “Christmas Eve in a New York City Hotel Room.” But working under the pretense that we’re aiming to please, Virginia’s Hardywood Gingerbread Stout has become a Christmas classic up there with It’s a Wonderful Life: a massive imperial milk stout that drinks like gingerbread men dancing in chocolate. Of course, stouts and porters aren’t the only beers perfect for winter. As the name suggests, winter ales and winter warmers are literally built for the season and tend to swap out chocolate and coffee for other dark flavors like dried fruits and toffee, before being enhanced with seasonal spices. This year marks the 30th anniversary of Oregon’s Deschutes Brewery releasing its textbook winter beer Jubelale, which is sure to please those who want their holiday brews to taste like the holidays. Speaking of classics, first brewed in 1981, Celebration is one of America’s first seasonal beer releases. It’s also an IPA, making in one of the earliest American incarnations of this style. And yet, all these decades later, Celebration is still a fantastic winter IPA with a citrus rind edge and an evergreen backbone. This beer is a holiday tradition worth upholding. Hops are often known for having “foresty” or “evergreen” notes, but if you really want to feel like you’re drinking a Christmas tree, find a beer like Pennsylvania Tuxedo from Delaware’s Dogfish Head. This pale ale is also brewed with fresh green spruce tips to help make the aroma of your beer match the scent of your living room in December. Spruce beers aren’t perfect for every occasion, but they can get almost anyone in the holiday mood. Want something a bit simpler? Allagash’s newest year-round offering is a beer worthy of drinking all year. Citrusy, delicately yeasty and only 4.8 percent ABV, this easy drinking brew can fuel even the longest of Scrabble or Risk games and earn an appreciative nod from even beer adverse relatives. With their tart, mouth puckering flavors, sour beers are great crossover brews for people who might typically prefer cider or wine. Lindemans is a name many people are familiar with thanks to their fruit-flavored lambics, but the Belgian brewery’s Gueuze Cuvee Rene serves as a drinkable introduction to the world of proper sour beers that can please aficionados, but also pique the interest of the unconverted. This selection can also help appease any old-school family members who only like “imported” beers. Almost every beer geek knows someone who tries to circumvent craft beer conversations with “I’m more of a lager drinker.” If that applies to a member of your family, toss them a Jack’s Abby Excess. This “IPL” is technically an India pale lager, but it’s triple dry-hopped to drink like some of the trendiest IPAs on the market. If this brew can’t enthrall their taste buds, at least the resident beer snob in your family will gladly down the remnants. Another oft forgotten style of lager is the doppelbock, a darker, fuller lager with notes of dried fruit, molasses and bread. Utah’s Wasatch Brewery offers up an approachable take on this “double bock” style that is available in cans throughout much of the Midwest. 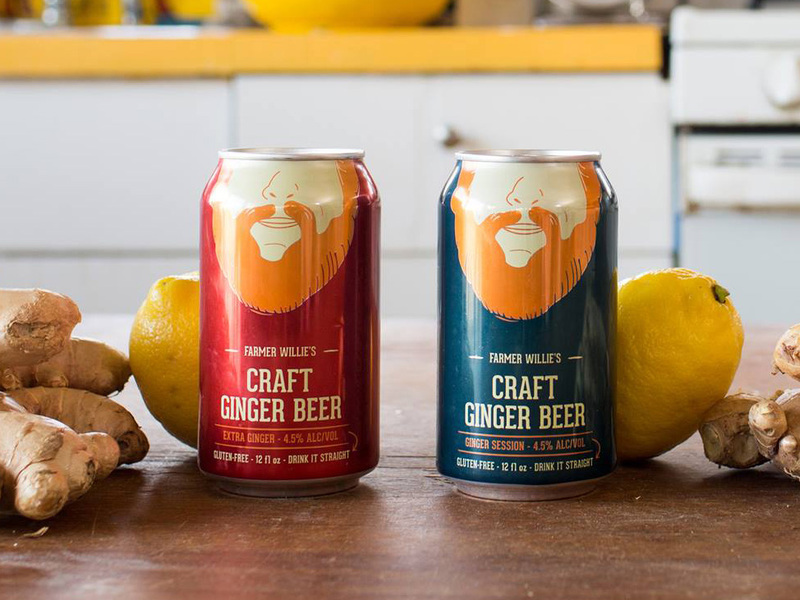 For the family member that literally will not drink any beer, here’s a trick to keep up your sleeve: Farmer Willie’s Craft Ginger Beer. Unlike other beer alternatives that can be painfully sweet, the alcoholic ginger beer from this Massachusetts-based brand is bone dry, surprisingly complex and completely quaffable at 4.5 percent ABV. Even the beer diehards in the house will be grabbing for one of these to mix things up. In the end, the holidays are about making sure everyone is happy. We can roll our eyes at American macro lagers, but they’re still the biggest selling beers in the country, and it’s more than likely that at least one family member would just prefer the beer equivalent of listening to “White Christmas” for the millionth time. 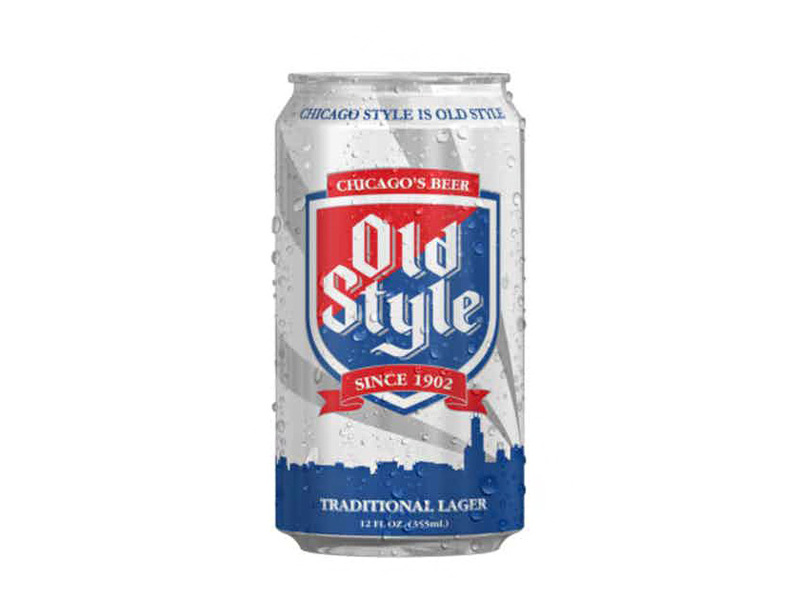 So throw a can of Old Style in the mix: It’s a perfectly serviceable pale lager and just might spark a conversation about Christmases past.